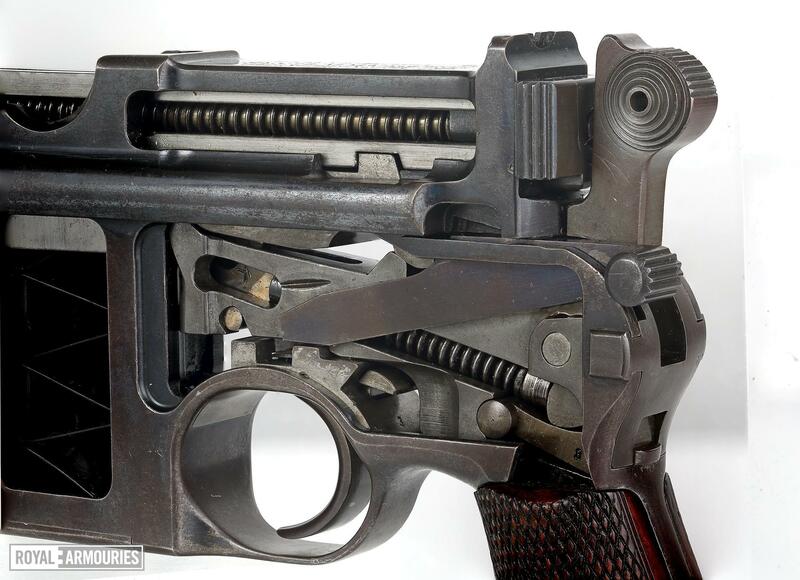 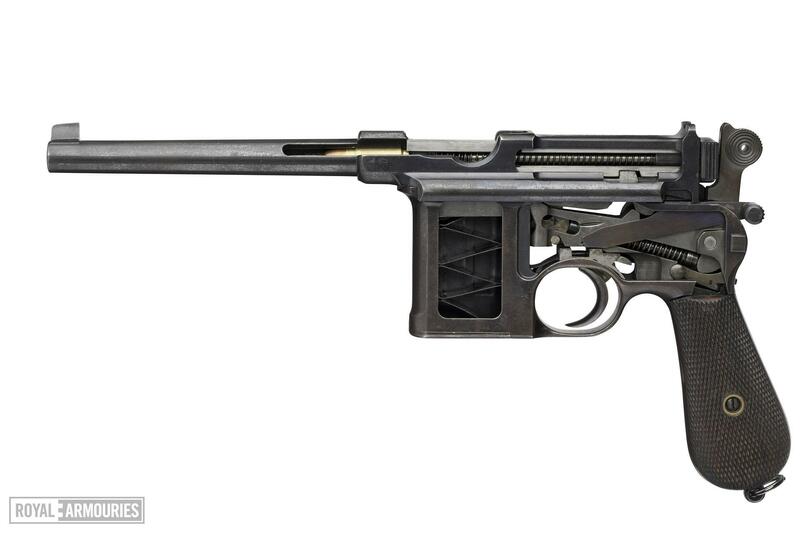 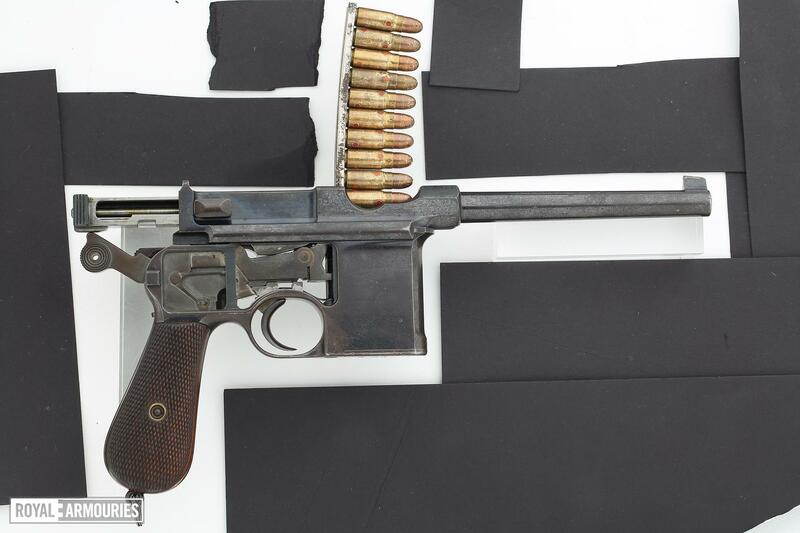 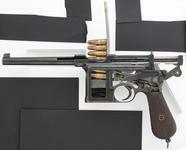 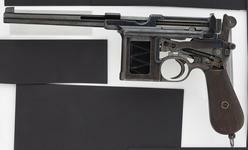 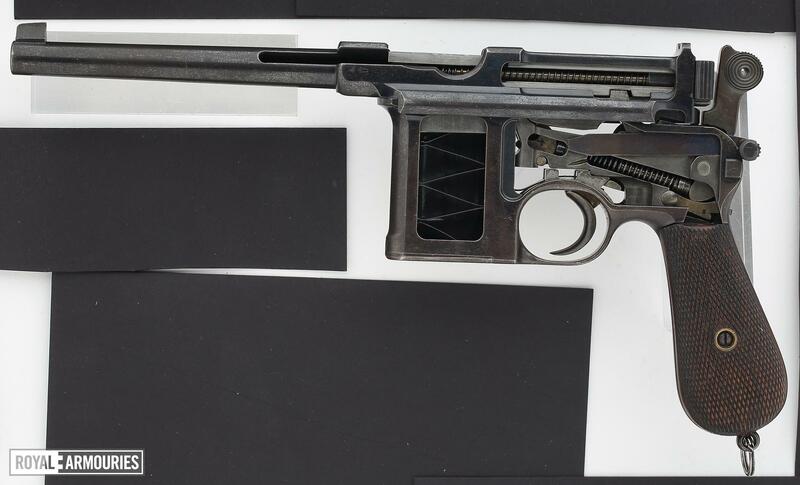 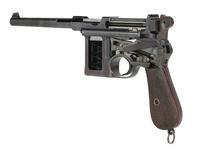 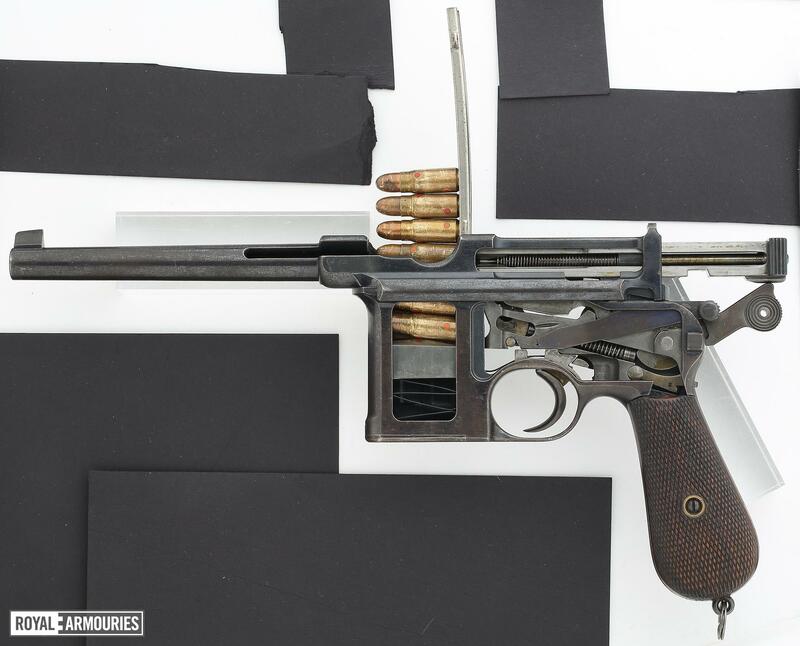 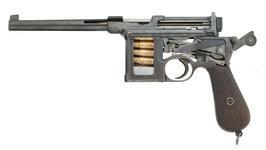 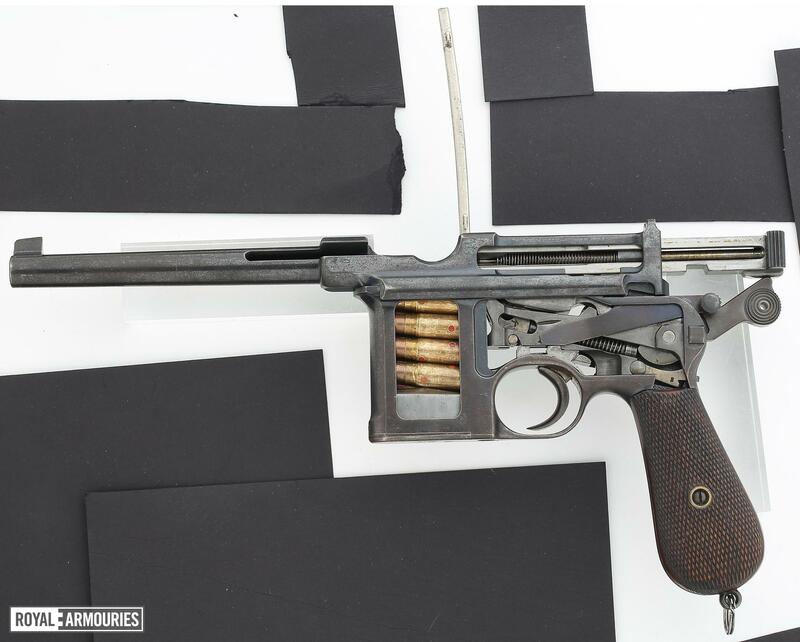 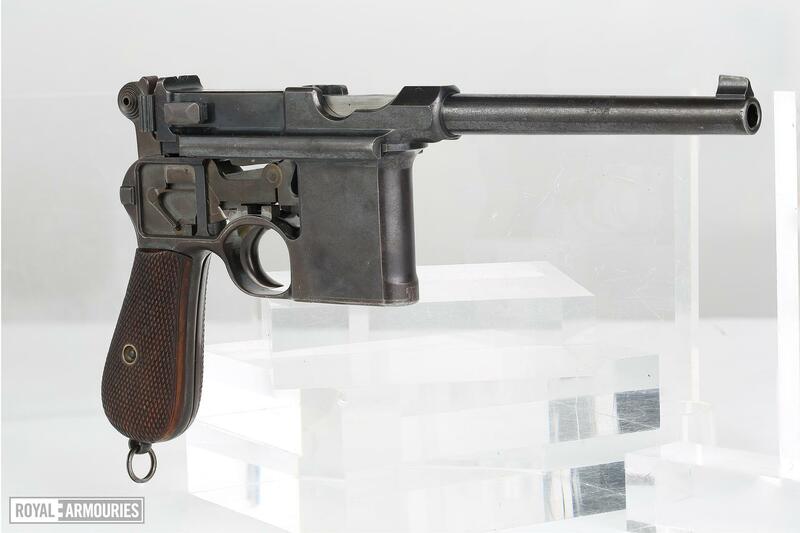 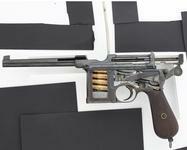 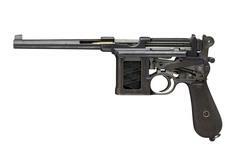 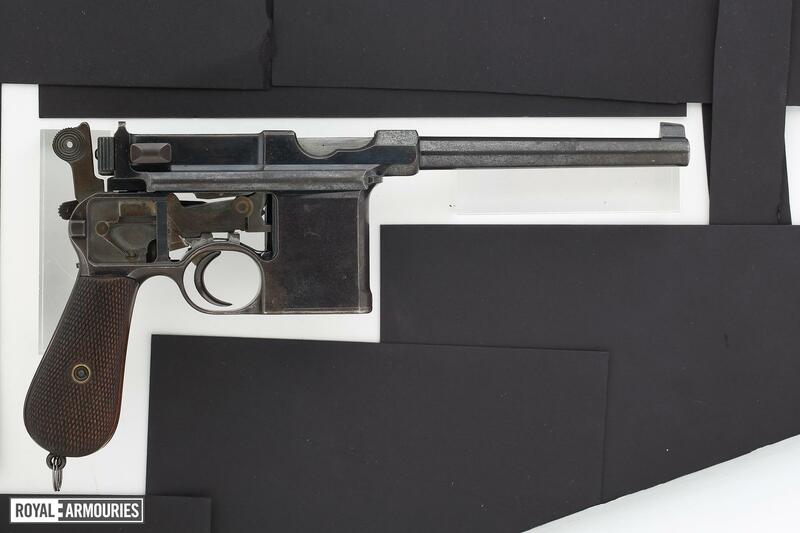 10-shot 'conehammer' Mauser C96 pistol with standard size frame and barrel length but with early features including the complex insert trigger mechanism, 'cone' hammer and 1st type safety of the 'pre-war commercial' pattern pistols, and pre-production features shared with the original prototypes including a lack of barrel extension reinforcement, early form of stepped barrel, chequered grips, and fixed rear sight. 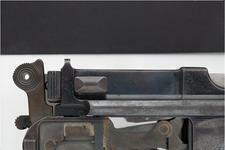 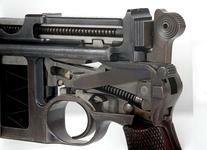 The usual slot cut in the grip frame for attachment of a holster-stock is absent. 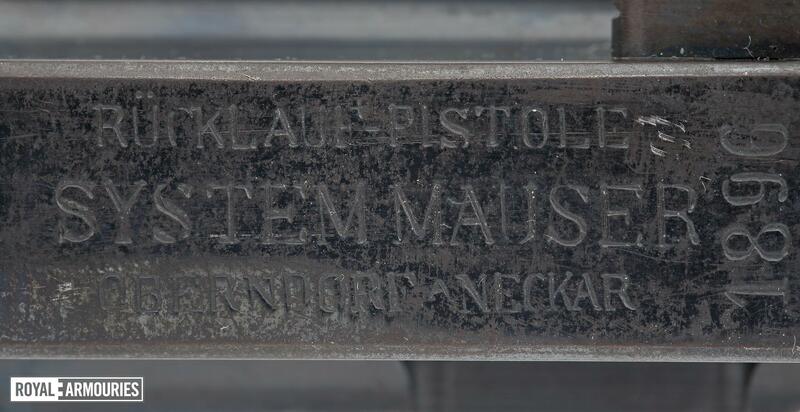 The upper flat in front of the sight bears the very early markings 'RÜCKLAUF-PISTOLE' over 'SYSTEM MAUSER', over 'OBERNDORF a NECKAR', with the date '1896' to one side, possibly applied later. 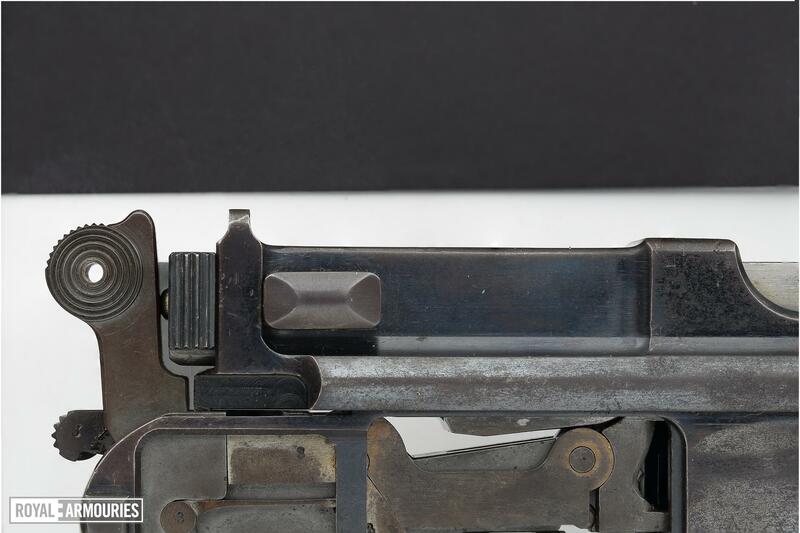 An original split ring is fitted to the lanyard ring, onto which is fastened a modern split ring with brass tag marked '5109'. 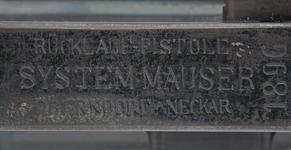 This is likely a rack number applied by the Forensic Science Service.